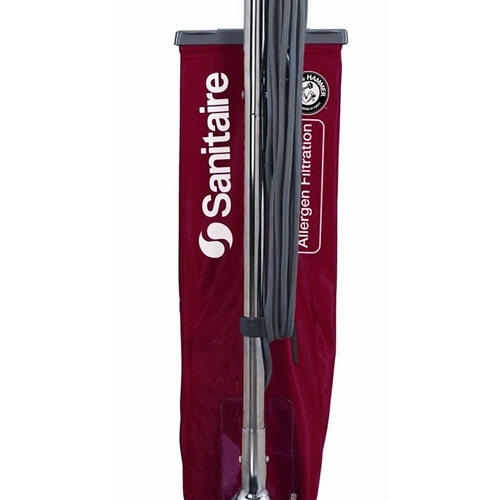 Genuine cloth bag for Sanitaire Commercial Contractors Series Vacuum Cleaners and other upright Sanitaires using Style ST paper bags inside. Fits Commercial Contractor Series Sanitaire Uprights with the 2 hole coupler connector. This bag will NOT fit machines with the latch coupler connector.